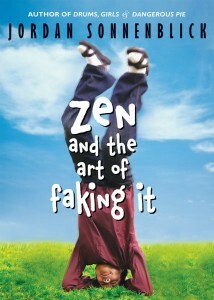 Zen and the Art of Faking It, by Jordan Sonnenblick is a lighthearted and humorous tale that follows quirky middle schooler San Lee, who has a knack of changing his personality everywhere he goes. During his miscellaneous adventures he poses as a reincarnated zen master. This book will capture both the young and old with its cast of quirky characters, and enthralling humor. This book is set in a quiet town called Harrisonville, Pennsylvania. A boy named San is determined to not be like his father who was arrested a year ago, and to do this he takes on the role of a zen master. In the end, San learns that lying will never get you anywhere, whether it was training the basketball team to shoot free throws, or working at the soup kitchen with his project partner Woody. I was with him every step of the way, relating to his experiences. And understanding him. 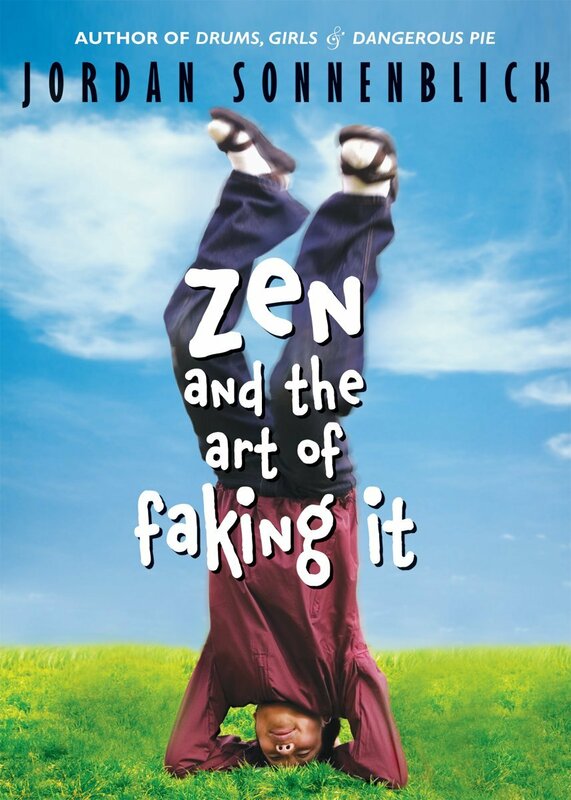 With it’s fun cast of characters, like the creepy librarian Mildred (who turns out to be very helpful for San) or Mr.Dowd, his bubbly teacher who always seems to know what’s going to happen next, Zen and The Art of Faking it kept me reading on and on. This is a more lighthearted and realistic fiction type tale. If you’re looking for a read just to have a laugh, this is the book. With quirky characters, and an intriguing plot, you’ll know to be coming back for more from Jordan Sonnenblick.